Bevin announced the appointment on Thursday. In a statement, Bevin said Glisson’s appointment is one of the most critical decisions he will make as governor. “Kentucky is consistently ranked as one of the least healthy states in the country,” Bevin said. Bevin has promised to rollback Kentucky’s expanded Medicaid system, which has added over 400,000 Kentuckians to the state’s health insurance rolls. Bevin says his administration will come up with a replacement system that will require enrollees to pay into the system. He’s also vowed to end the state’s health insurance marketplace, Kynect, and transition to the federal exchange. Both Medicaid and Kynect will be part of Glisson’s portfolio. “I look forward to working with stakeholders as, together, we find solutions to the challenges facing Kentucky families, the health care industry and our most vulnerable citizens,” Glisson said in a statement. 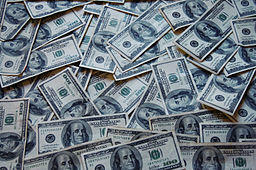 The cabinet oversees wide range of state government agencies, including child protection, public health and foster care. As president and CEO of Nucleus, Glisson has advised the University of Louisville in the areas of health, life sciences and research, according to Bevin’s transition team. Nucleus is an “life sciences initiative” created by the University of Louisville Foundation, the non-profit that manages U of L’s $1.1 billion endowment. 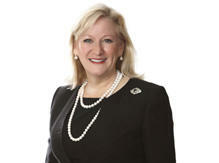 Glisson is a past chairwoman of the American Bar Association’s health law section. Glisson has a long history of working with state government in advisory roles. She chaired a task force appointed by former Agriculture Commissioner Richie Farmer examining health care issues in rural Kentucky. She also headed a health care task force for the Louisville Chamber of Commerce in the late 1990s. She served on a task force appointed by former Republican Gov. Ernie Fletcher that reviewed Kentucky’s merit system laws, which ultimately recommended that personnel law violations made by Fletcher and his staff constituted misdemeanors. Glisson will replace outgoing Secretary Audrey Tayse Haynes. In an hour-long end-of-term news conference on Tuesday, Gov. Steve Beshear reflected on his time as the state’s top public official, saying Kentuckians have been able to “make democracy work” and rely on their elected officials to work together despite partisan differences during his two terms. Gov. 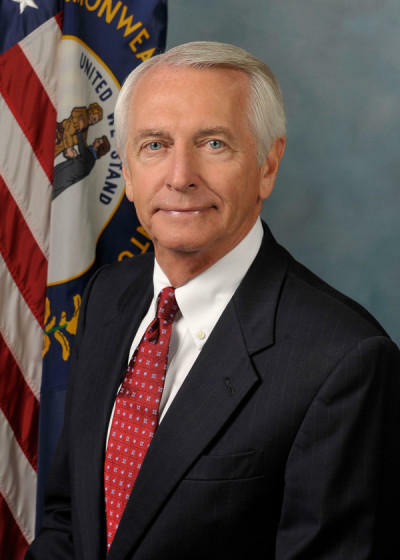 Steve Beshear on Friday defended Kentucky’s health care exchange and Medicaid expansion, both of which are facing drastic reforms by his incoming successor.